Justina Chen LLC, 9780988717404, 114pp. Years of marriage--done. You suddenly find yourself the unwitting co-star of a midlife cliche, and your life has become one, big, messy blur. What now? 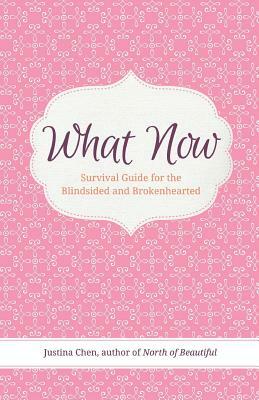 Here is your Survival Guide to the first traumatic thirty days after your husband or partner blindsides you and breaks your heart. These are your marching orders for what you can do now to take care of yourself and your kids--emotionally, physically, spiritually, legally, and financially. These are your operating instructions to keep you standing long enough so you can take the next step. Then the next. The information is straightforward, the intent simple: to set you up to reclaim your life, leaving you better not bitter. +Face this ordeal with grace +Select trusted secret keepers +Account for your money +Assemble your team +Nourish yourself Author Justina Chen is an award-winning novelist for young adults whose books include RETURN TO ME, NORTH OF BEAUTIFUL, and GIRL OVERBOARD. As well, she is an executive communications strategist who conducts lauded storytelling workshops for corporations and non-profit organizations.